Whatever the weather, there is one event which always features in a family holiday – the great British picnic. There’s nothing better than unwrapping sandwiches from foil, a little twist of salt for your tomatoes, a flask of tea and a hard boiled egg to peel. Even when we’re not on holiday, it’s one of the activities we love to do in the garden for our children – eating alfresco is what makes a summer. 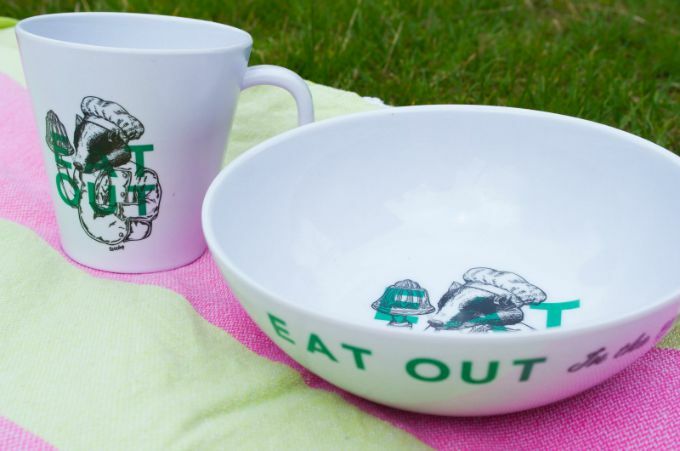 Camping and caravanning specialists OLPRO have come up with a genius range of picnic accessories to make the great British outdoors even more fun, and they sent us this fabulous melamine tableware set to review. With lots of different designs they’re guaranteed to brighten up even the greyest days of the British summer, and we especially love the quirky retro nature design they sent us. There’s something almost Beatrix Potter about it – add an Enid Blyton bottle of ginger beer and you’ve got the perfect picnic! Of course, with one eye on the weather, you can’t forget the humble windbreak. 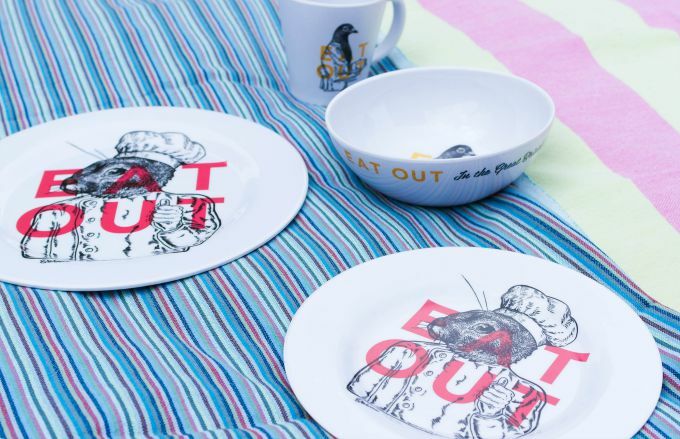 We’ve spent many an afternoon on a blustery beach courtesy of this British staple to keep the worst of the wind off, and OLPRO have even managed to bring a contemporary feel to picnics and camping with their new designs. We love this fun picket fence design, but you can get a dry-stone wall version, or a privet hedge for some tongue-in-cheek class. OLPRO have created the Picnic Club as part of their National Picnic Association, to celebrate everything we love about picnics in the UK. They want you to share your favourite picnic locations, photos, tips and cheats for the perfect picnic over on their Picnic Club page. 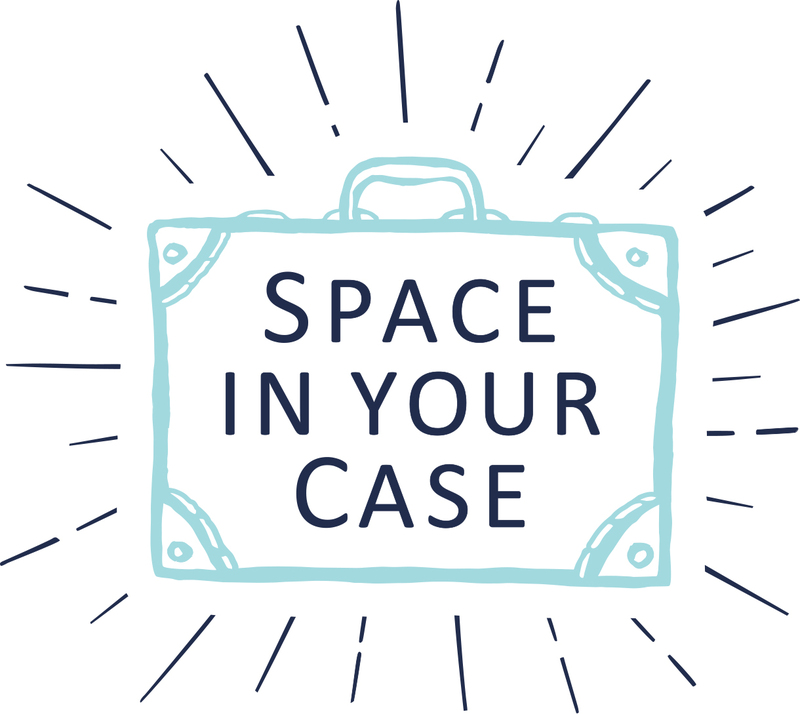 You can upload your own photos, share your tips for a great picnic, and find fabulous locations recommended by others. Careful though – you might not be able to resist making a purchase of something gorgeous while you’re there! 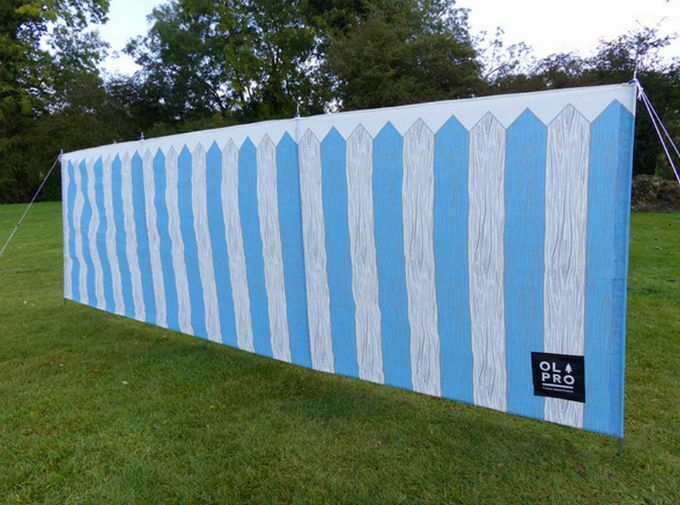 The picket fence windbreaks start at £24.99, and melamine table sets are from £17.99 and were sent to us for the purposes of review. Images and opinion are our own. Also pictured here are towels from Hammamas, which doubled up nicely as a picnic blanket.